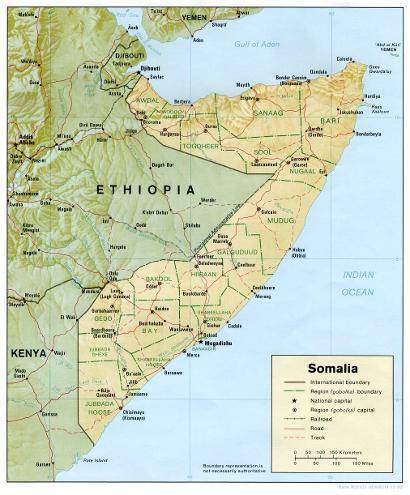 "The Country of Somalia" (April 1999) overviews the geography of this poor but developing nation in the eastern part of Africa, the Horn of Africa. 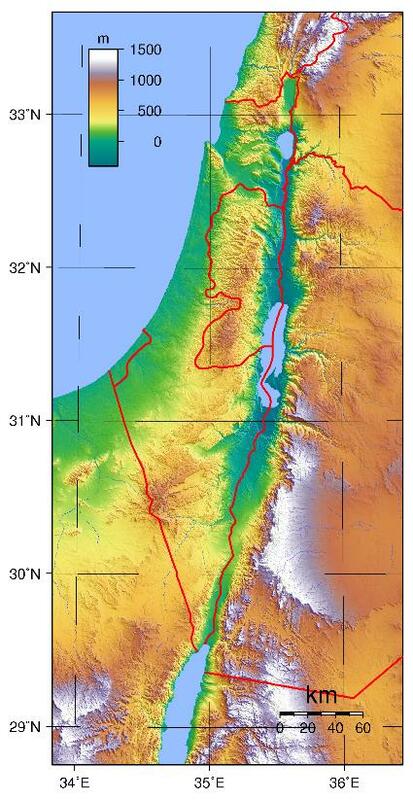 In "Jewish, Christian, and Islamic Attitudes Toward the Land of Palestine" (originally written in Spring 1999, revised in Summer 2000 and slightly revised recently), I try to show not only attachment by each major faith to The Land but also each faith's detachment or "distancing" from Palestine. The mix of long-held beliefs, politics, and the violent struggle for control, as well as world interest, makes this topic very, very difficult. I have also included below an outline designed for leading discussions about Palestine and its religious claimants. For a concise, excellent treatment of The Palestinian-Israeli Conflict, read Martin Bunton's slender volume in Oxford's A Very Short Introduction Series (2013). Bunton begins with Ottoman Palestine (1897-1917) and traces the history through British Palestine (1917-1937), Palestine Partitioned (1937-1947), Atzmaut and Nakba (1947-1967), Occupation (1967-1987), and the Rise & Fall of the Peace Process (1987-2007). Bunton, an Associate Professor at the University of Victoria, Canada, is also co-author with William L. Cleveland of A History of the Modern Middle East (5th edition; Westview Press, 2012). "Jerusalem, the Holy City" (April 1983) surveys names, geographical location and topography, history, and walls and gates of the Old City and highlights special features and excavations of the Ophel Ridge and the Temple Mount areas. 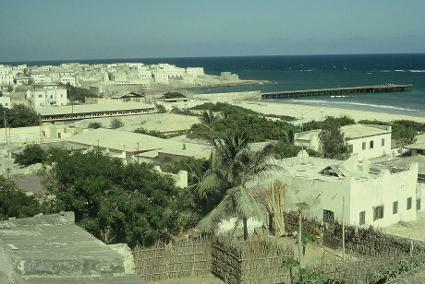 Traditional sites associated with the Passion of Jesus also are overviewed. Temple Mount Area, Old Jerusalem, from "12 Day Study Tour to the Holylands" Brochure, Conducted by Alabama Christian School of Religion, Courtesy of The Quest Travel Group & KLM Royal Dutch Airlines (December 1985). 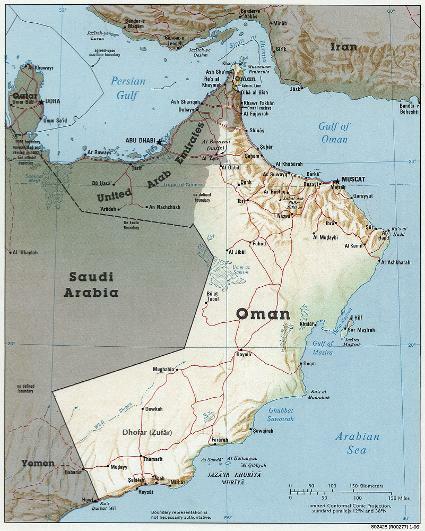 If I recall correctly, these "Oman Briefing Notes" were provided through Air Force channels back in the 1990s. They reflect the situation of the country during that time but include much that is still useful. "Turkey, A Short Geographical Brief" (Spring 1999) surveys this crossroads country that clings to both traditional and modern ways of living. Revised in May 2012 with bibliography. "Feng Shui, Overview and Resources" (April 1999; resources updated May 2012) gives a sketch of the "art of placement" with some internet and book resources. The Dingle inShrewsbury, England exhibits attributes of Feng Shui. "The Green Revolution" (April 2000) surveys the pros and cons of the introduction of high-yield hybrid seeds into the agriculture of developing nations in the 1960s and 1970s. "The Mediterranean Region" (February 1999) looks briefly at three broad characteristics that define the Mediterranean lands as a distinct geographical region: (1) access to the sea and to three continents; (2) barriers from the continental heartlands; and (3) climate.